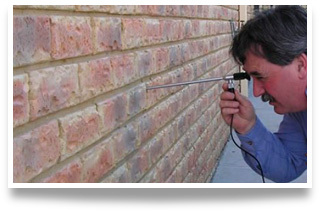 At Devel Design and Construction, one of the great services which we provide is a complete building inspection service. We are well aware of the constraints associated with conveyancing, and ultimately making the right decision with regard to your property. As such, we make sure that we get all necessary information to you as soon as we possibly can so you can make informed decisions based on the opinions of licensed experts. Our professional building inspectors are fully qualified and reliable, so that you can rest easy knowing that we’ve got you covered. We make a point of keeping you in the loop throughout the course of the work that we do for you, and are readily available if you would like an on site consultation. Performing a building inspection can be a miniscule cost in comparison with the potential costs associated with repairing certain property features such as plumbing or structural elements. It makes sense to invest in an inspection and get the opinion of a certified expert before committing to an expensive property purchase with unknown variables involved. When you require a building inspection report in a hurry, completed and certified to a professional standard, get in touch with the licensed experts from Devel. We cover all bases when it comes to building maintenance and we specialise in building inspections. For more information about the building services which we provide, get in touch with us today.